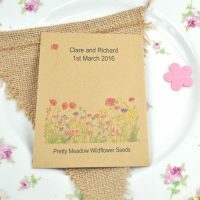 This is a lovely recycled seed packet wedding favour for your guests, and very romantic! The pun on words will bring a smile to their faces – “I would pick you every time”! 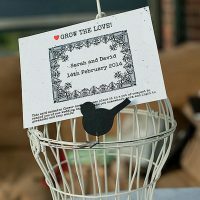 A great wedding favour idea. 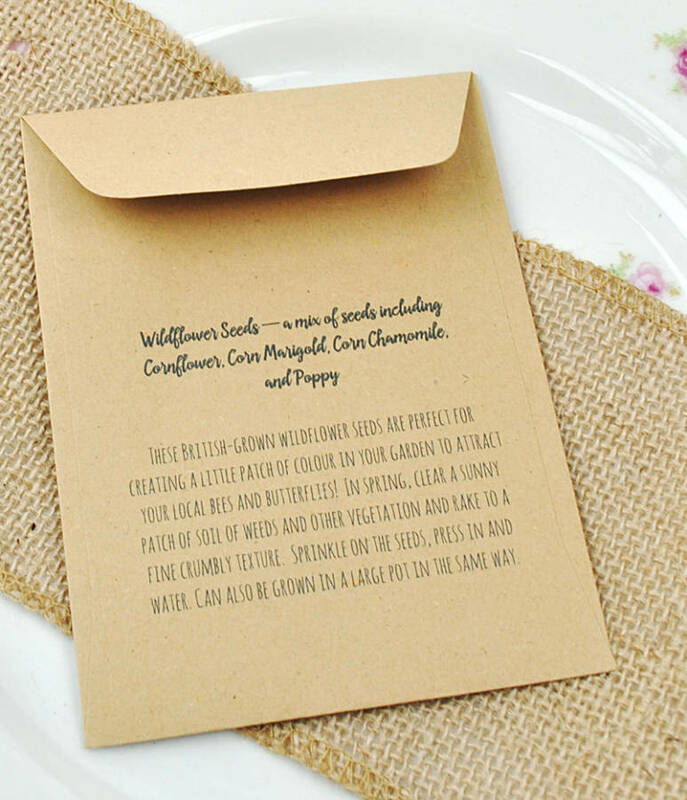 The seed packet is made from 100% recycled paper and measures 9 x 12 cm. The seeds inside are British-grown British wildflower seeds and are in a paper sachet. 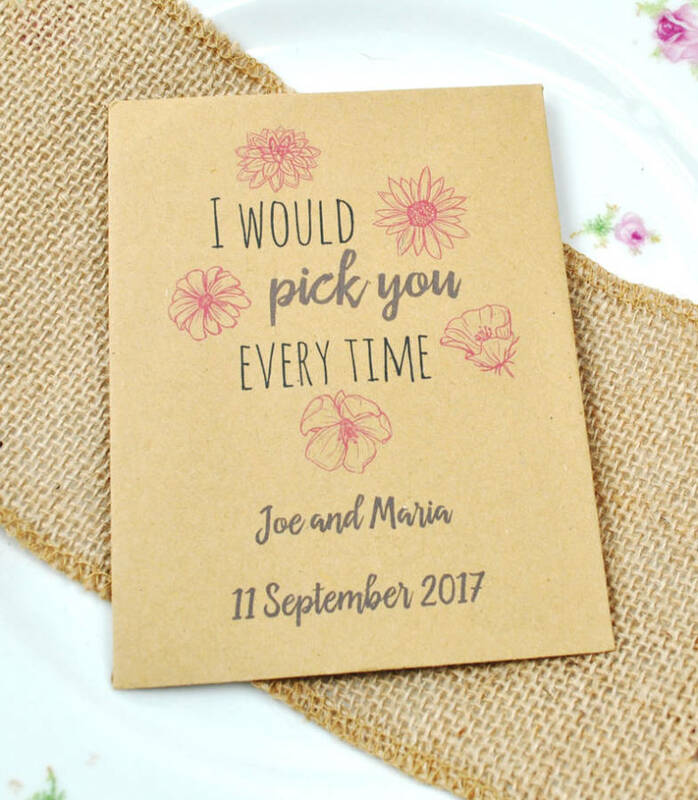 The front has your wedding details (please let us know these in the box above) and the back has the sowing instructions. These seeds are very easy to sow! 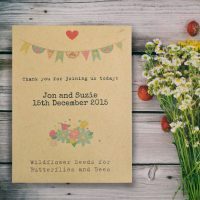 What seeds are in the wedding favours? We have included a mix of Cornflower (pretty blue flowers), Corn Marigold (pretty yellow daisy-like flowers), Corn Chamomile (pretty daisy flowers) and Poppy (pretty red flowers). All are pretty and perfect for butterflies and bees. Hoverflies are also rather partial to Poppies! You will get around a gram of seeds.